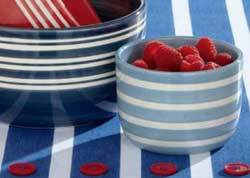 Stars and Stripes Fluted Prep Bowl, by Tag. Hand-painted earthenware mini bowls, perfect for kitchen prep, or serving dips and snacks! White on the outside with colored stripes around the rim, they are colored inside with a star on the bottom. Perfect for nautical or 4th of July themes! 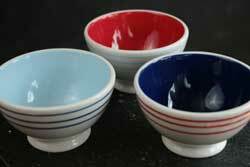 Sold individually - Choose from the Light Blue, Dark Blue, or Red Bowl. Measures 2.75"h x 4.625" dia, 1 cup capacity. Microwave/dishwasher safe. Part of Tag's Red, White & Blue Collection. 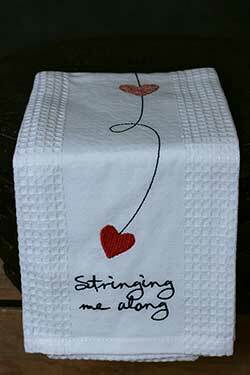 Stringing Me Along Embroidered Waffle Weave Kitchen Towel, by TAG. Embroidered hearts against a white waffle weave dishtowel, and reads: stringing me along. 100% cotton. Attached hang loop. Machine wash cold separately; tumble dry low. Measures 18 x 26 inch. Striped Fall Kitchen Towel, by Tag. Best-selling kitchen towels by Tag! This one has woven textured striping in warm earthy colors. Summer Cottage Embroidered Waffle Weave Dishtowel, by Tag. 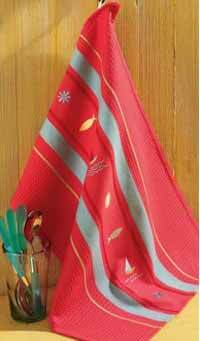 Soft red waffle weave cotton dishtowel with pale blue stripes and embroidered summer icons, such as fish and sail boats. Part of the Summer Cottage Collection. 100% cotton. Machine wash cold separately; tumble dry low. Measures 18 x 26 inches. 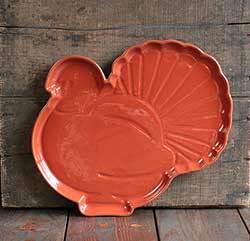 Matching pottery and accessories also available! Summer Stripe Bowl, by Tag. This pretty bowl has a round base and straight sides, and features hand painted light blue stripes against a white backround. Perfect for trickets, candy, or snacks! Microwave and dishwasher safe. Made of earthenware. 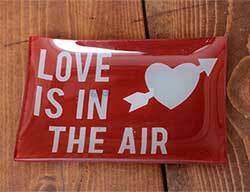 Love is the Air Sweet Talk Glass Plate, by Tag. Use this darling little glass plate for candies, treats, keys, a catch-all, or a soap dish! This one is red and has the lyrics "Love is the Air." Measures 6 x 4 inches. Food safe. 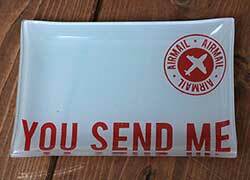 You Send Me Sweet Talk Glass Plate, by Tag. Use this darling little glass plate for candies, treats, keys, a catch-all, or a soap dish! This one is white and has the lyrics "You send me." Measures 6 x 4 inches. Food safe. Tomato Salt & Pepper Shaker Set, by Tag. 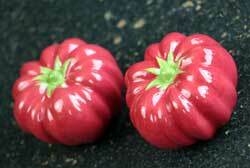 Red tomato-shaped salt & pepper shaker set. Measures 1.5 x 2.25 inches. Part of the Jardin Collection. 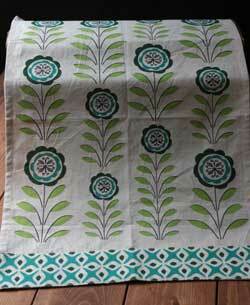 Fresh greens and teals in a mod flower and leaf design, printed on a linen-colored cotton tablecloth. Measures 60 x 84 inches. 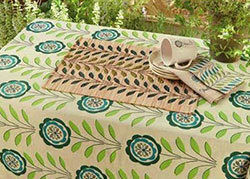 Tropez Stripe Tablecloth, by Tag. Heavy-weight woven cotton tablecloth in a beach-inspired palette of turquoise, nautical blue, sun yellow, light blue, and a touch of green. Measures 60 x 108 inches. 100% cotton, machine washable. 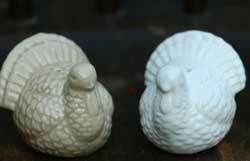 Turkey Salt & Pepper Shaker Set, by Tag. 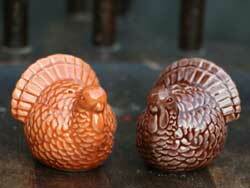 Set of hand-painted salt & pepper shakers shaped like festive Thanksgiving turkeys! Earthenware with a beautiful glazed finish, one a light brown and one white. Rubber stoppers included. Hand wash. Measures 2 x 2 x 2 inches. 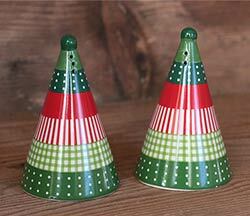 Set of hand-painted salt & pepper shakers shaped like festive Thanksgiving turkeys! Turkey Salt & Pepper Shaker Set, by Tag. 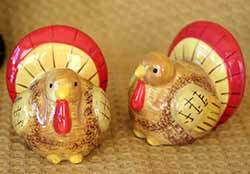 Set of hand-painted salt & pepper shakers shaped like festive Thanksgiving turkeys! Earthenware with a beautiful glazed finish, one a light brown and one a dark. Rubber stoppers included. Hand wash. Measures 2 x 2 x 2 inches. Natural terra cotta with shiny glazed finish and embossed details. Has slightly raised sides hold in juices. 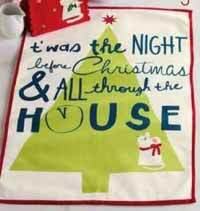 Twas the Night Dishtowel, by Tag. Printed on white cotton. Part of the Twas the Night Before Christmas Collection. Measures 18 x 26 inches. 100% cotton, machine washable. Twas the Night Ornaments, by Tag. 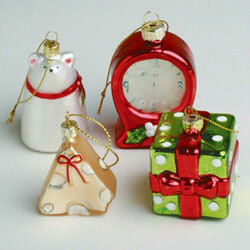 A set of FOUR ornaments, including one each of the Mouse, Clock, Gift, and Cheese. Measures avg of 2 inches. Part of the Night Before Christmas Collection. Made of glass. With the current trend toward farmer's markets, the Victory Garden Collection is a wonderful accent to the produce-savvy kitchen! 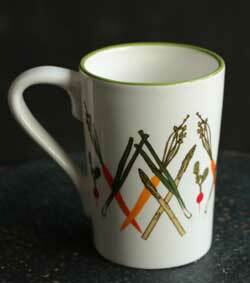 This white stoneware mug features decal images of carrots, scallions, asparagus, and radishes! 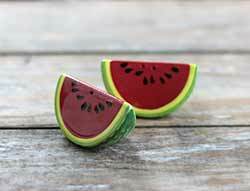 Hand-painted earthenware salt and pepper shakers in the shape of watermelon wedges! Darling for picnics, BBQs, or for gifts. Whimsy Mixing Bowl, by Tag. 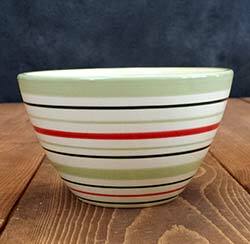 We love the hand-painted whimsical stripes on this bowl! Palette is cherry red, lime green, and holiday green on a white background. Great size for mixing or serving. Measures 5 x 9.5 inches (16 cup capacity). Dishwasher safe. Whimsy Reindeer Napkin, by Tag. 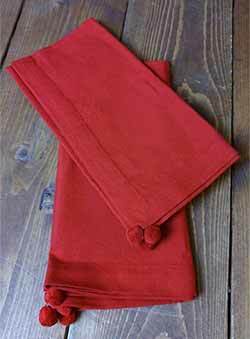 Over-sized, high quality cotton napkin in a solid red color with a whimsical pom pom sewn at each corner. 100% cotton. Machine washable. Measures 20 x 20 inches. Sold individually (priced per napkin). Part of the Whimsy Reindeer Collection. Whimsy Santa Window Decals, by Tag. 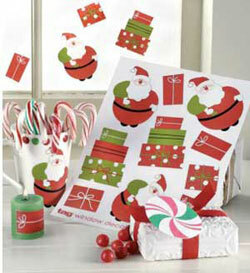 Assorted plastic decals in festive Santa and gift designs! Removable and reusable - use them on windows, the fridge, candles, glass or ceramic pitchers, mugs, or vases...the options are endless! Printed w/lead-free ink. Packed with hole-punched header card for easy display. 8 x 11 inches sheet holds decals in place. Store on original backing to preserve cling. Clean surface before adhering. Dimensions vary per decal. Whimsy Tree Salt & Pepper Shakers, by Tag. 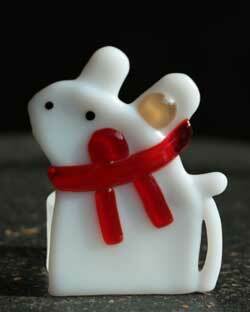 Whimsical tree-shaped ceramic salt and pepper shakers in a run red, green, and white patterned design. Measures 3.5 x 2.125 inches. Rubber stoppers included. Whimsy Tree Woolen Ornament, by Tag. 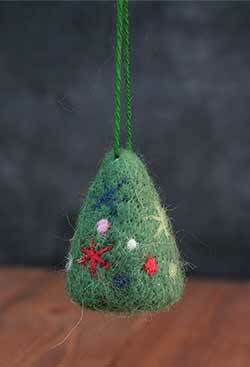 Green woolen whimsical tree ornament, with a needle-felted look. Measures 3.125 x 2.5 inches. Other ornaments also available! 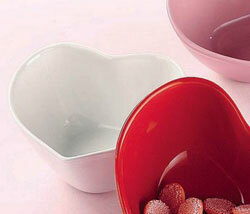 White Heart Candy Dish, by TAG. Perfect candy dish! Made of stoneware with glazed finish. Microwave/dishwasher safe. Measures 3 x 5.5 inches. 16 ounce capacity. 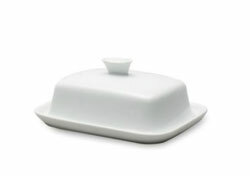 Whiteware Lidded Butter Keeper, by Tag. 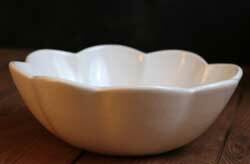 Tag's white porcelain dinnerware and serveware are great basic accent pieces for year round entertaining and dining. Available in many interesting shapes and sizes to complement all settings. Microwave/dishwasher safe (unless noted). Oven safe at low temperatures. Matte interior. This is for the Lidded Butter Keeper, jumbo sized at 3 x 7.25 x 5.5 inches. Wildflowers Napkin, by Tag. 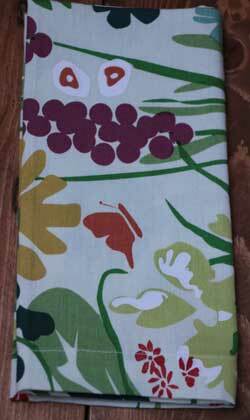 Off white cotton napkin with colorful printed floral pattern. Measures 20 x 20 inches. 100% cotton. Machine wash cold separately; tumble dry low. Wine Bottle Hat & Scarfr, by Tag. 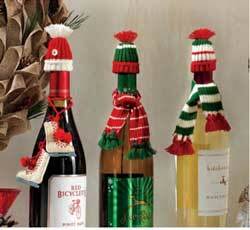 This adorable set includes a knit hat and sweater, sized to fit a wine bottle. Makes a festive accent or fun gift! Sold individually from three different color choices - Choose the Left, Middle, or Right sweater/hat set. Winter Forest Spreader, by Tag. Use as a spreader with dip or as a cheese knife! Earthenware handles shaped like green trees, with stainless steel blade. Measures 5.125 x 1.25 inches. Winter Stripe Bowl, by Tag. Features whimsical hand-painted whimsical stripes in red, green, and celery green. Measures 3 x 5 inches. 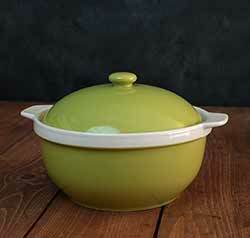 Microwave / dishwasher safe (will get hot in the microwave). 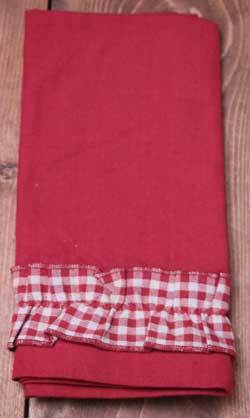 Woodlands Gingham Dishtowel, by Tag. 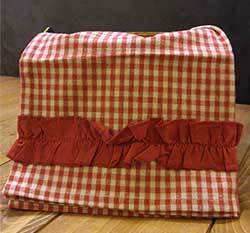 Features and cranberry red and light tan woven gingham fabric and red ruffled border. Part of the Woodland's Collection. 100% cotton, machine washable. Measures 18 x 26 inches. Woodlands Gingham Napkin, by Tag. 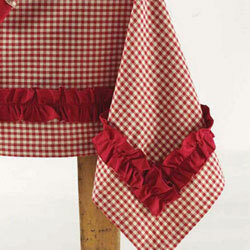 Features and cranberry red and ivory gingham fabric ruffle on a red background. Part of the Woodland's Collection. 100% cotton, machine washable. Measures 20 x 20 inches. Woodlands Gingham Tablecloth, by Tag. Features and cranberry red and ivory gingham fabric and red ruffled border. Part of the Woodland's Collection. 100% cotton, machine washable. Measures 60 x 60 inches. 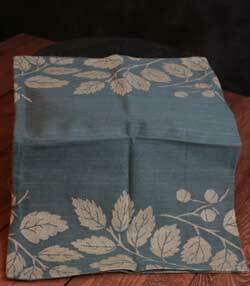 Woodlands Printed Dishtowel, by Tag. Sold individually. 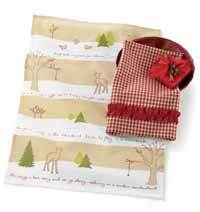 Features a woodlands scene and verse in soft cream, tan, and green. Part of the Woodland's Collection. 100% cotton, machine washable. Measures 18 x 26 inches. 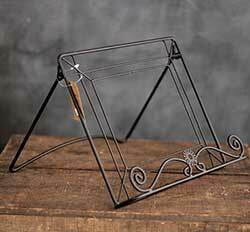 Keep your favorite recipes handy with this stylish wrought iron cookbook holder. Cookbook holder keeps your turned to just the right page so there's no need to worry about finding your spot when in the middle of a cooking project.